It was at the Taste of Regent Park this past summer that I first met Eden Hagos – a.k.a Black Foodie. We didn’t formally meet; I stumbled on the event – a community event she helped organize, while I, along with a few friends were set to attend a friend’s photo exhibit at Daniels Spectrum – a nearby arts centre. As I was strolling from stall to stall, sampling a plethora of African and Caribbean treats, I recognized Eden and told my friend, Yo, that’s Black Foodie! Although I only knew her from social media, I smiled at her and she smiled back. Three months later, I attended a blogger meet up and saw Eden again. This time I had an actual conversation with her and fan-girled over her website. She seemed very cool and not freaked out that I knew about everything that was going on her site, so a few days later, I asked if I could interview her. As you can imagine, we spoke about all things food (uh, I love food too). We spoke about her fave foods, the foods she wants try (I suggested she try bake and shark whenever she travels to Trinidad). What I found the most poignant, and something I could identify with was when Eden mentioned that as a child she felt embarrassed bringing her “ethnic” dishes to school for lunch. It looked and smelled different from her classmates, so she felt uncomfortable eating it in public. Fortunately, those feelings went away and she is SUPER proud of her Ethiopian heritage and loves the food. That’s one of the reasons why she created her site Black Foodie – to give shine to cuisine that normally doesn’t receive any recognition. Are you like me and LOVE food and want to know more about this determined lady? Keep reading. Fun Fact: Eden goes out to eat at least 3-5 days a week. Sometimes 10 times a week! 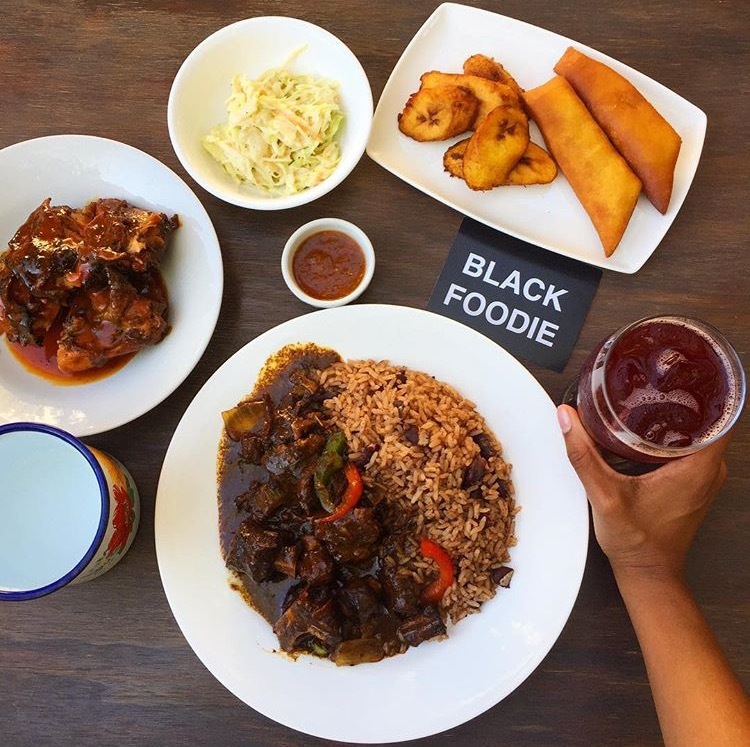 Black Foodie is an online community that spotlights the best of African, Caribbean and Southern cuisine, and showcases the perspectives from a black foodie. We host events, post recipes, and create an outlet for black foodies. We have about 40 contributors and we are growing! Why do you consider yourself a Black Foodie instead of a “foodie”? As a black foodie my experiences are different. Food is a universal thing – everyone can enjoy it regardless of your cultural background. For me, what I noticed as a black foodie in Canada, your experiences can change and shift depending on where you come from. As an African kid – (I grew up with Ethiopian parents who immigrated to Canada), African food wasn’t cool. Now it has become a little more trendy. Even the way it is spoken about on other food outlets, it’s this “exotic” thing that an outsider needs to experience. It’s never written to someone like me who actually ate it my entire life. Oftentimes the way food is written about, is though they are speaking to an audience that’s never had it or doesn’t belong to these communities. I think our audience wants to hear about our food and has a different context. The term “foodie” wasn’t enough. I wanted to put my identity into it. I would define it is as somebody who is really passionate about food and cares more about what’s on their plate….how it came to be there….what influenced it. They dig a little deeper. What is the mission behind Black Foodie? 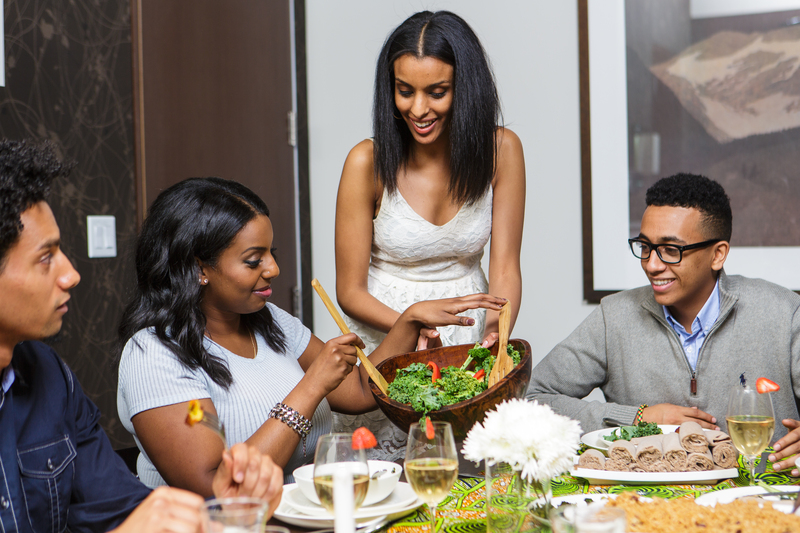 To stay authentic and create a community around food that supports black foodies. Cover it in a way that is respectful and celebrates where and who it comes from. Eden not only enjoys celebrating African, Caribbean and Southern cuisine, she has shared her appreciation by hosting a bunch of cool food related events. Doubles vs. Patties, Jollof Wars, Carnival in December and Injera + Chill. I asked her she had any plans to host future events. Do you have any events lined up for next year? Still working out the details but YES! Stay tuned to see how Doubles vs Patties, Jollof Wars and Injera + Chill get reinvented! I plan on doing something very BIG for Caribana 2017 as well. I see that you do a lot of travelling for Black Foodie. Do you have plans to do more travelling? I would love to go to Nova Scotia. I really want to learn more about the Black Canadians in Nova Scotia- the history and how it ties into food. I would also like to go to the Caribbean, and I would love to go to Ghana to learn about the food. Where would you like to take Black Foodie? What inspires me to keep going is the desire to see our voices and flavour represented. I grew up on amazing African food and I have a passion to tell the stories of the resilient culinary ambassadors across the diaspora. What’s next for Black Foodie is more events, and taking our stories into video content and producing high quality content that engages our audience. Imagine if the Food Network actually featured food/travel shows with Black leads talking about African, Caribbean and southern cuisine? Wouldn’t that be amazing? We certainly think so, and that’s why we are creating it for ourselves! Good for you, Eden! Happy to see you giving exposure to incredible foods that need exposure. Thanks for the chat! * Bonus: You can hear Eden speak about the exoticism of African food, Caribbean and Southern American food.